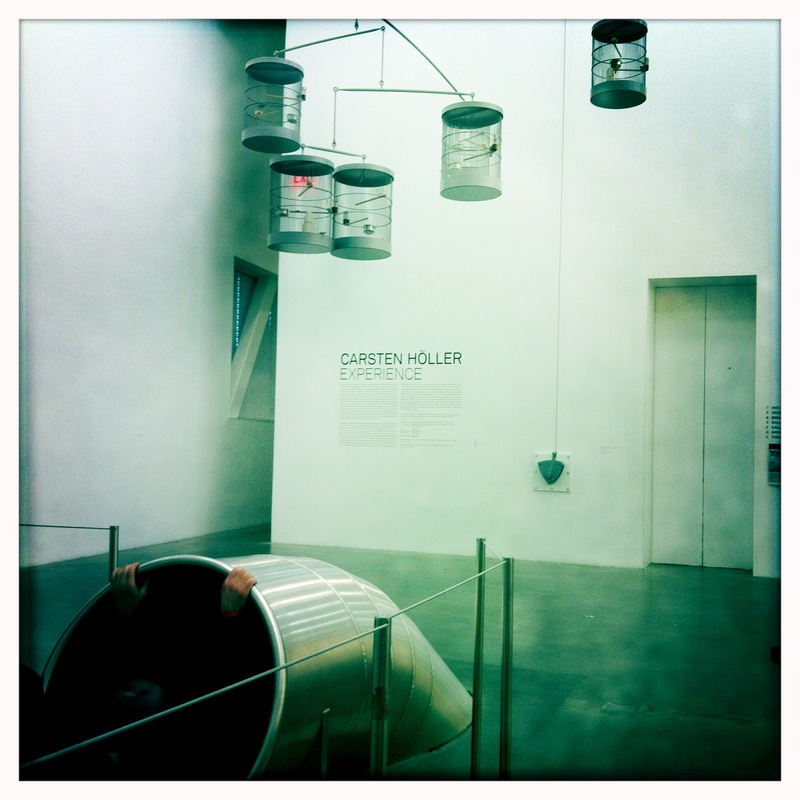 Carsten Höller, scientist-come-artist, hilariously delightful exhibition at the New Museum presents the familiar in a way that challenges our preconceived notions of experience. 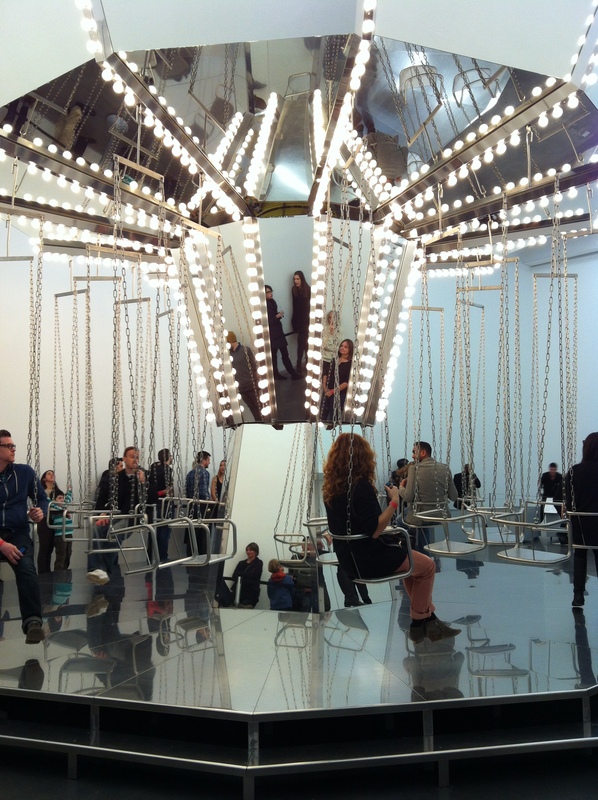 The Mirror Carousel is strikingly beautiful but spins at an impossibly slow speed. 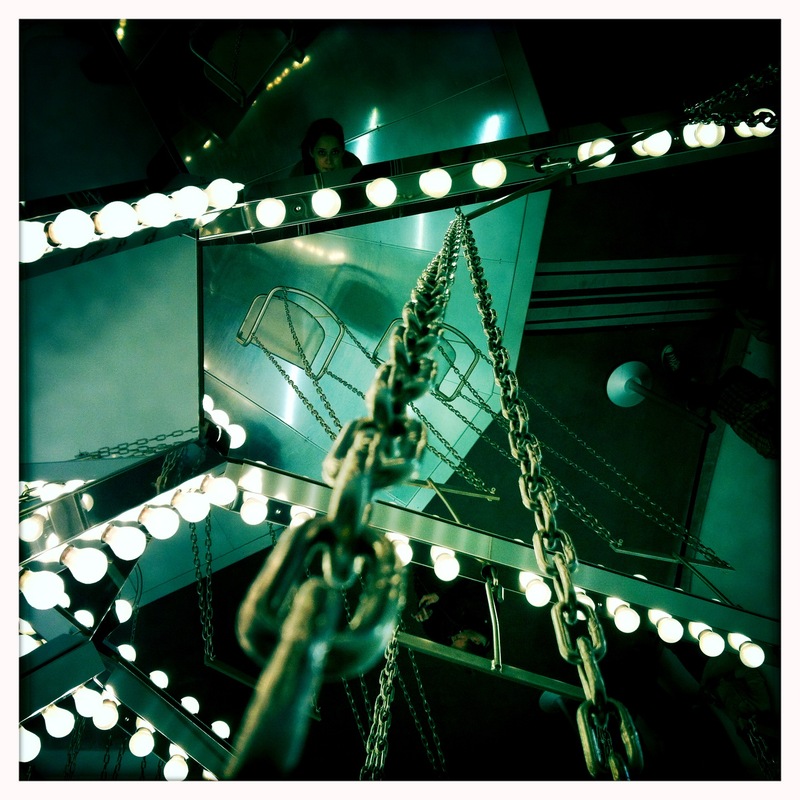 Not only changing the expected velocity of fun but allowing the viewer to experience riding a carousel not as a joyful carnival ride by rather at a pace to savour every elongated second of the ride. Höller’s work centres around the reinterpretations of sensory experiences, specially enjoyed the Rabbit on the Skin and the Aquarium. 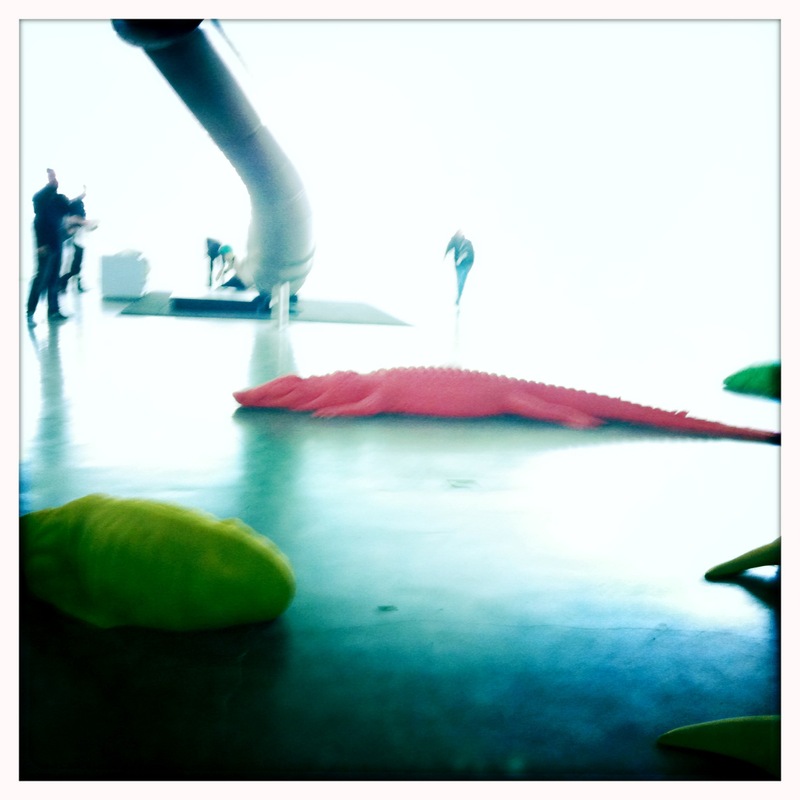 Conversely, the slide propels you down through 3 floors at an ecstatic speed then violently catapults you into a room filled with strobbing fluorescent lights and neon alligators. 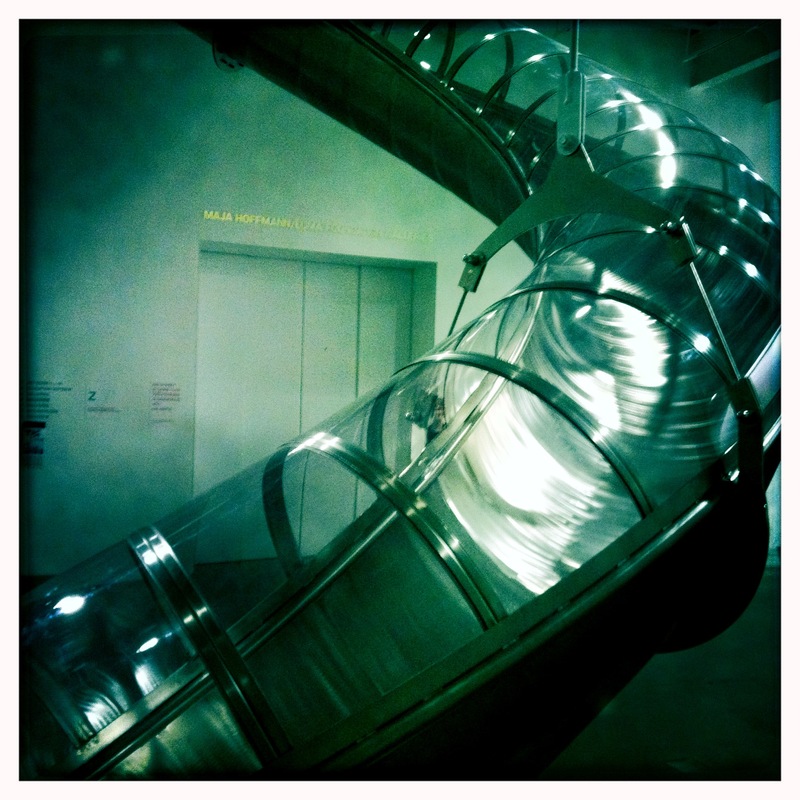 I experienced Carten Holler’s Untitled (slide) in 2007 at the Tate Modern in London. The Tate’s version of the installation was more of an intricate short series of slides that connected through the turbine hall a various levels.